The current price is 39800 Euro. 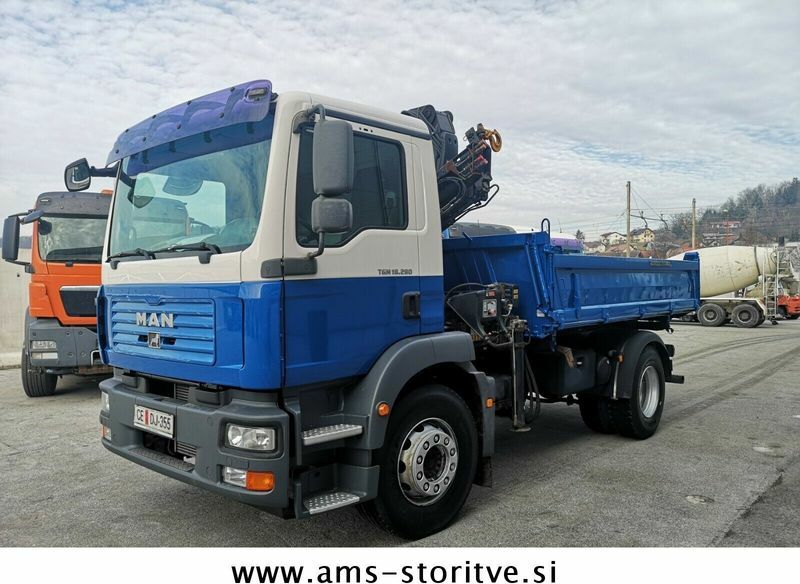 The detailed specification of MAN TGM 18.280 tipper is provided below. Engine/driveline: Euro 4, diesel, displacement: 6871 cc, 280 hp, gearbox: manual, DPF - particulate filter. Chassis configuration: 4x2, number of axles: 2, ABS, EBS, trailer coupling. Body: loading length: 4100 mm, loading width: 2430 mm, loading height: 600 mm, three-way tipper. The mileage is 295000 km. The vehicle is located in Slovenia.